When does the Nordstrom Anniversary Sale end? When does the Nordstrom Anniversary Sale end? The last day to take advantage of NSALE 2018 sale prices is Sunday, August 5, 2018. Prices will go up on August 6th. 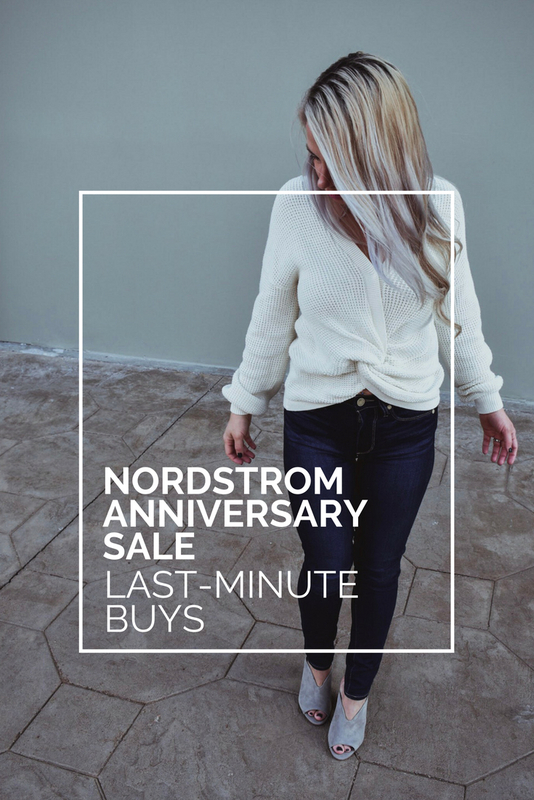 That means there’s less than a week left to take advantage of the amazing savings the Nordstrom Anniversary Sale offers to build your fall and winter wardrobes. What are the best deals from the Nordstrom Anniversary Sale? 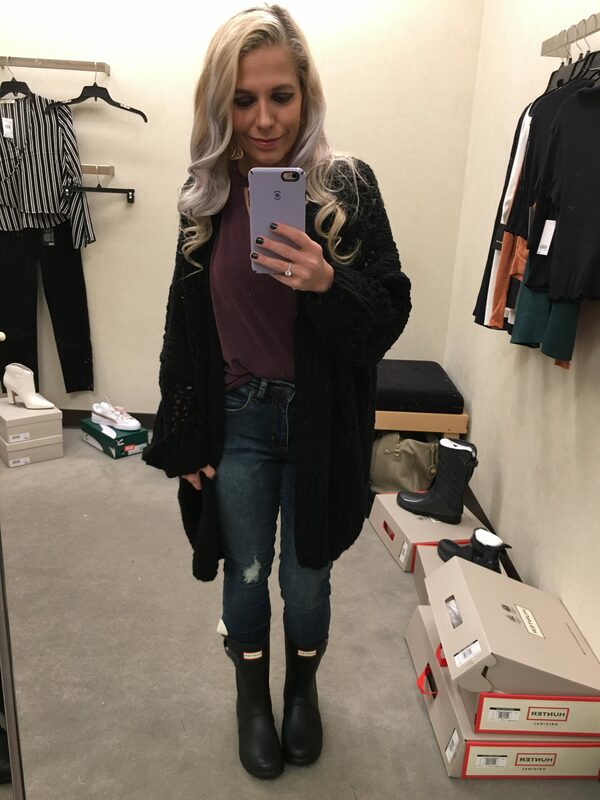 What are the best last-minute Nordstrom Anniversary Sale finds? 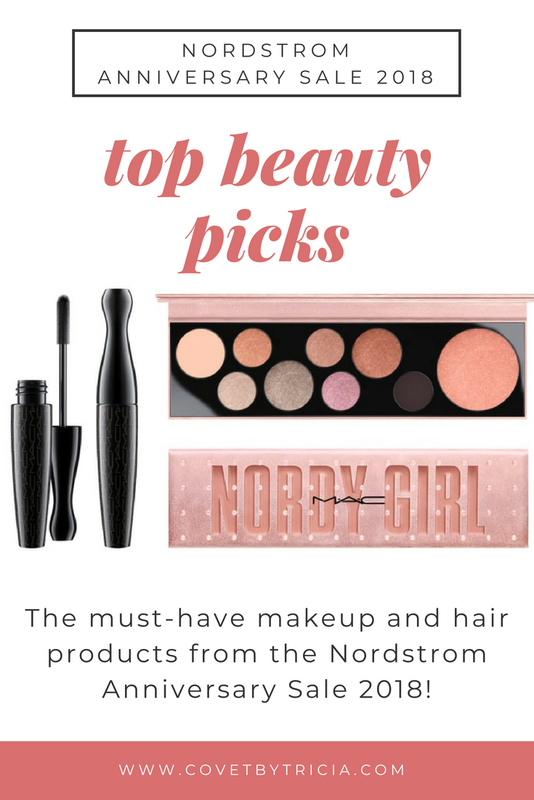 Since there are 6 days left in this year’s Nordstrom Anniversary Sale, I’ve rounded up the 6 items that you need to buy before NSALE 2018 ends! These items are all in-stock in a variety of sizes and colors [as of the time of this writing] and ready to shop. 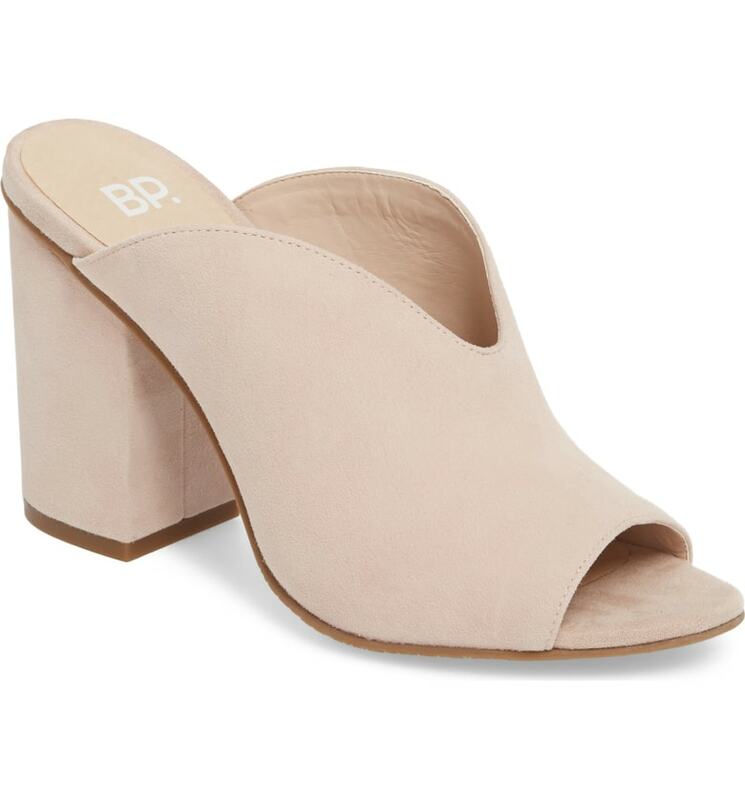 I grabbed these mules on Day 1 of the Nordstrom Anniversary Sale! 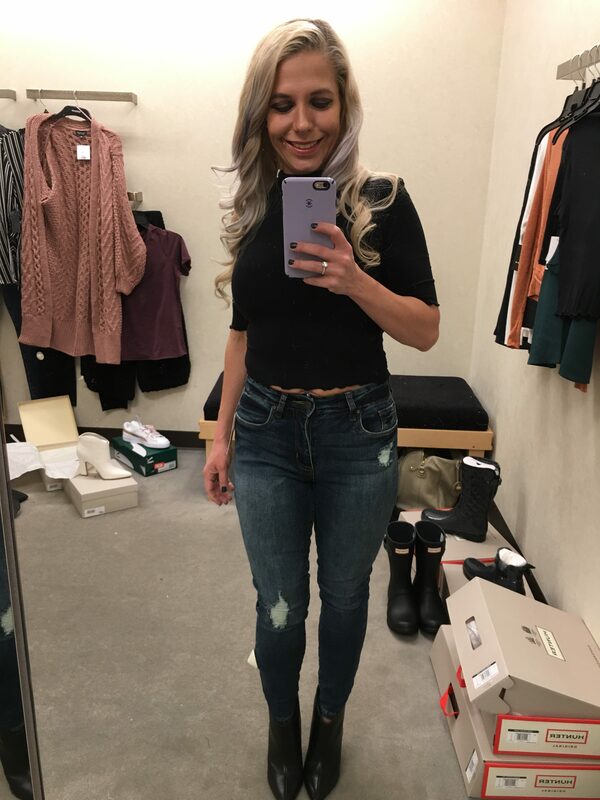 The deep V cut in front is super flattering for short legs, and I paired them with several outfits in my Nordstrom Anniversary Sale Try-On Session post. The BP. Tonya Open Toe Mule comes in 4 different colors and is under $50 during NSALE 2018. 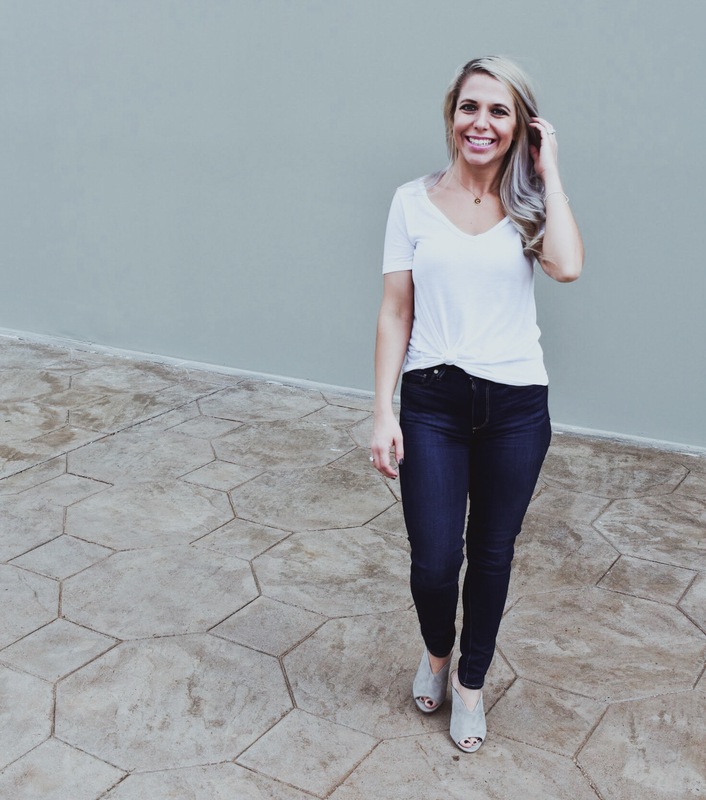 At less than $26 during the Nordstrom Anniversary Sale, these leggings are a great way to add some rocker flair to your fall wardrobe. The BP. 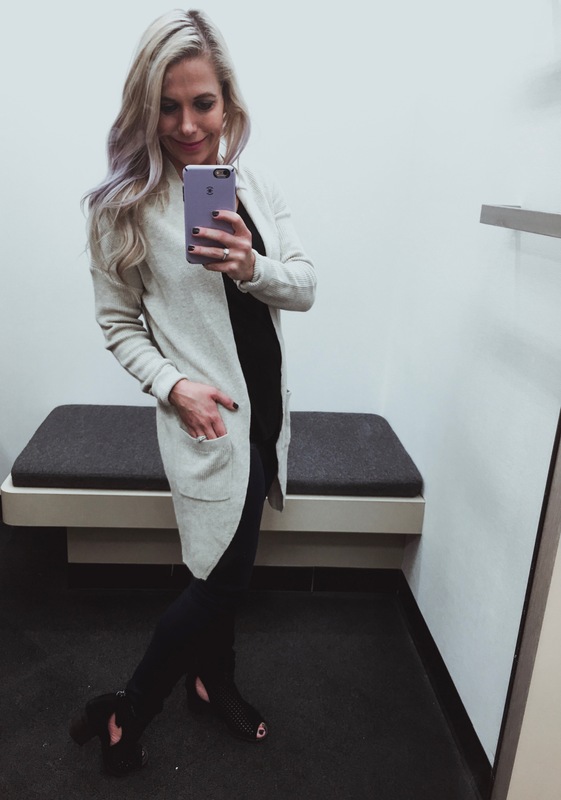 Stitch Curve Hem Cardigan is a soft, lightweight cardigan that is perfect for transitioning to fall. If I were still working in an office, this is the kind of cardi I’d keep hanging on my door for cool days. 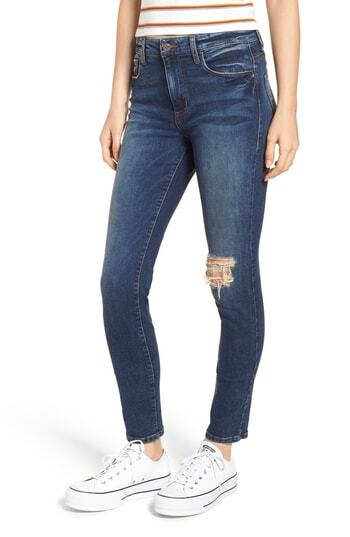 It’s priced around $30 during the Nordstrom Anniversary Sale and stocked in several sizes and colors. 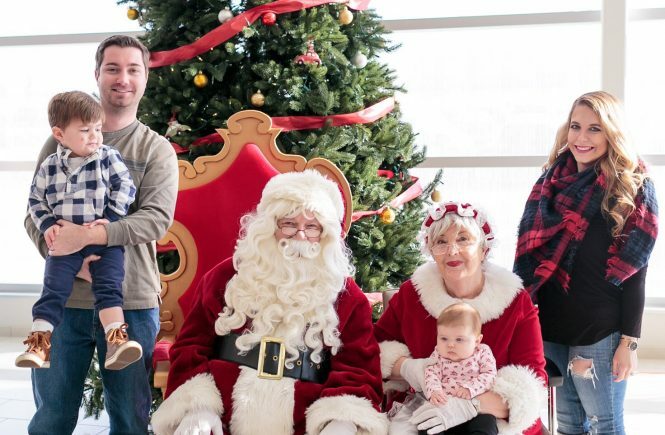 The BP Plaid Shirt has been a Nordstrom Anniversary Sale favorite of mine since my very first NSALE post this year! 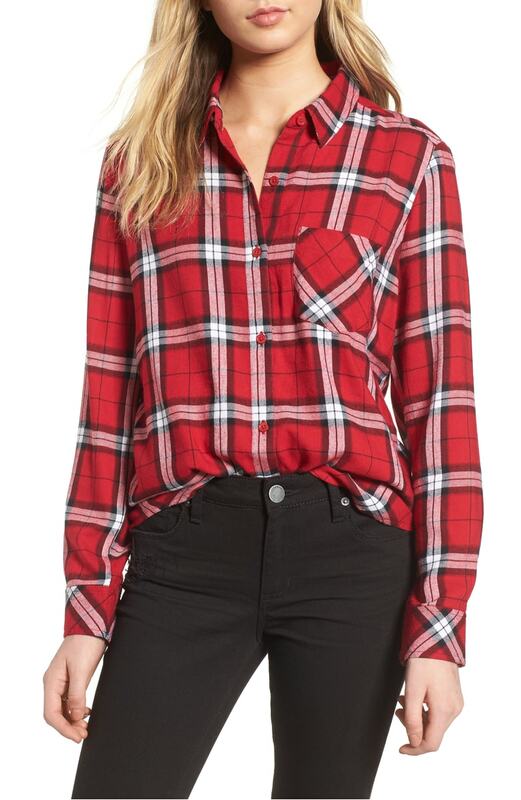 Nothing says fall like a good plaid, and this one is available in multiple colorways and at an affordable price point around $30. 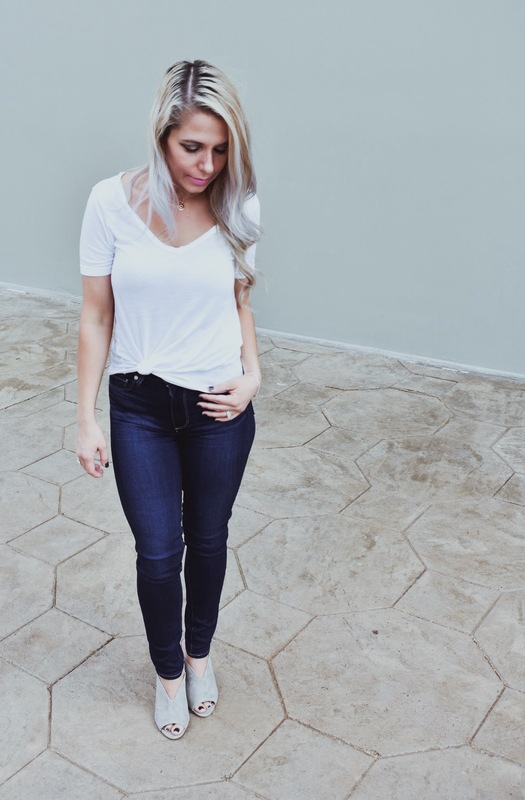 The BP Ripped High Waist Skinny Jeans were another early Nordstrom Anniversary Sale favorite of mine. 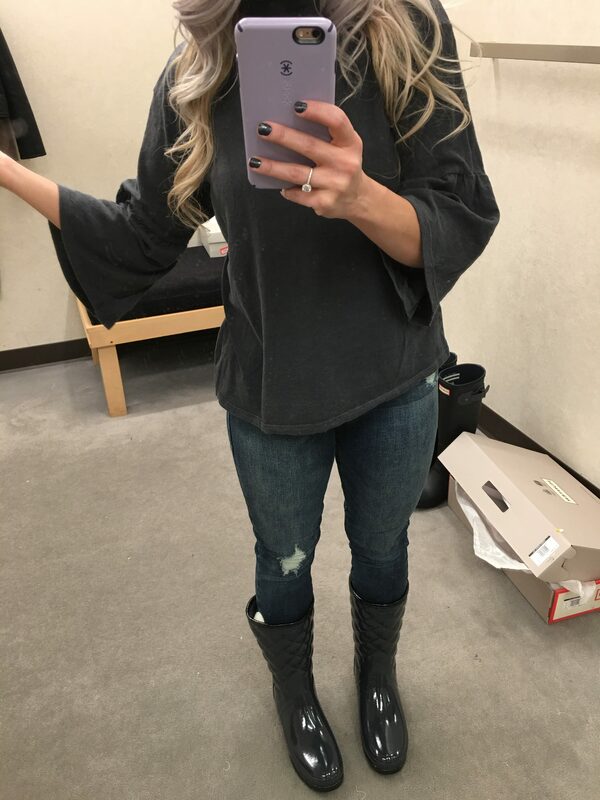 These ripped jeans are a perfect length for petite girls, which you know I appreciate! They’re still stocked in multiple sizes for both regular and plus. 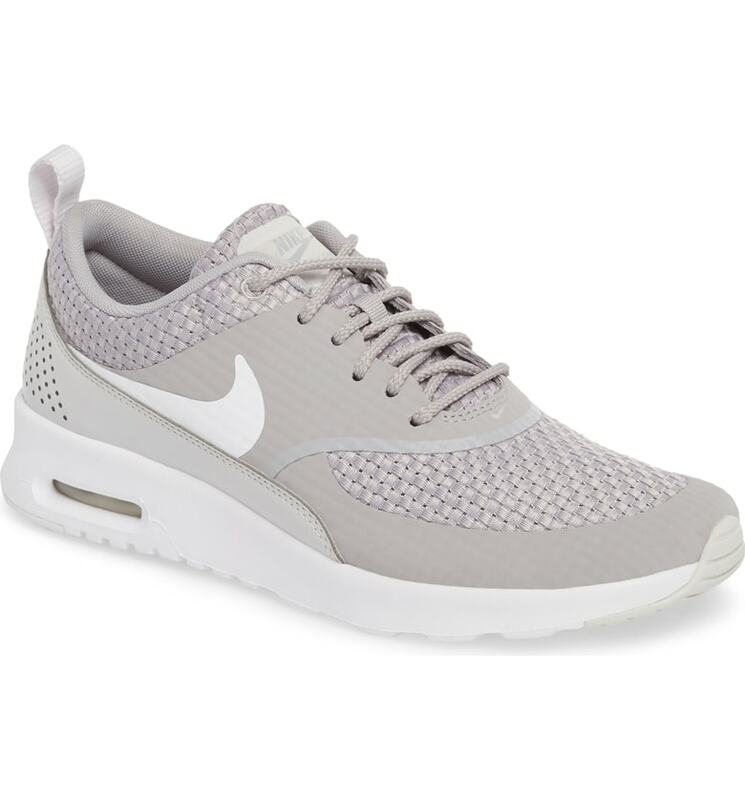 Love the versatility of these neutral Nike sneakers! Athletic shoes tend to get overlooked at the Nordstrom Anniversary Sale, but now is a great time to grab a pair or two to get you through the rest of the year. OK, so this one is really a bonus, as it’s usually out of stock. 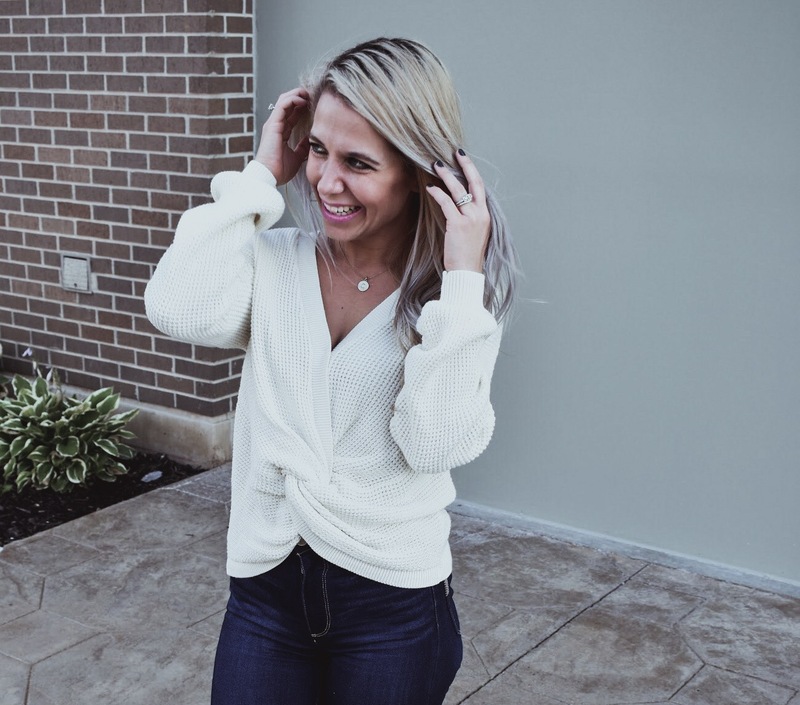 But this BP Twist Front Sweater is my top-selling Nordstrom Anniversary Sale item, and lots of you have had me keeping an eye out for your sizes! I’m going to link it here because if you can happen into one of these in stock, you won’t regret it. 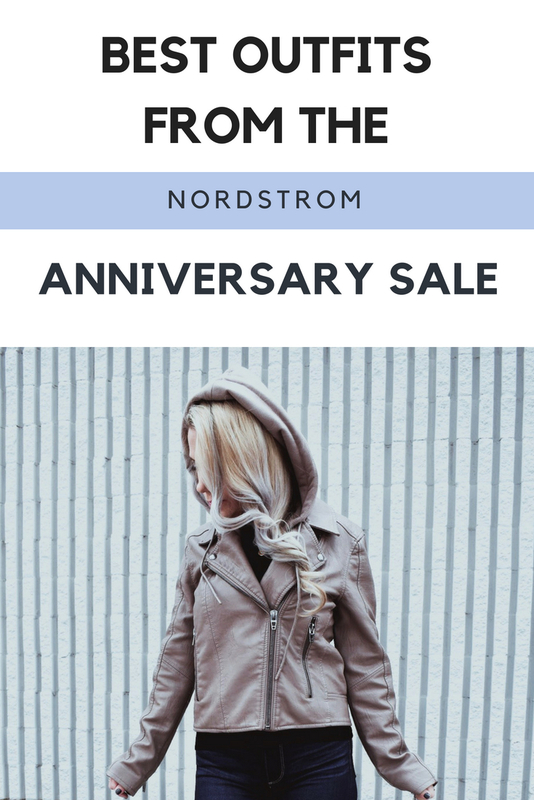 The Nordstrom Anniversary Sale ends on August 5, 2018. Prices go up August 6, so take advantage of these sale prices while you can! 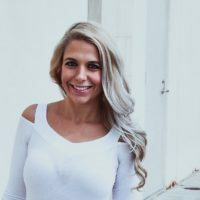 And for those of you who are tired of hearing about the NSALE, just know that all the bloggers will stop talking about it in less than a week. Ha! 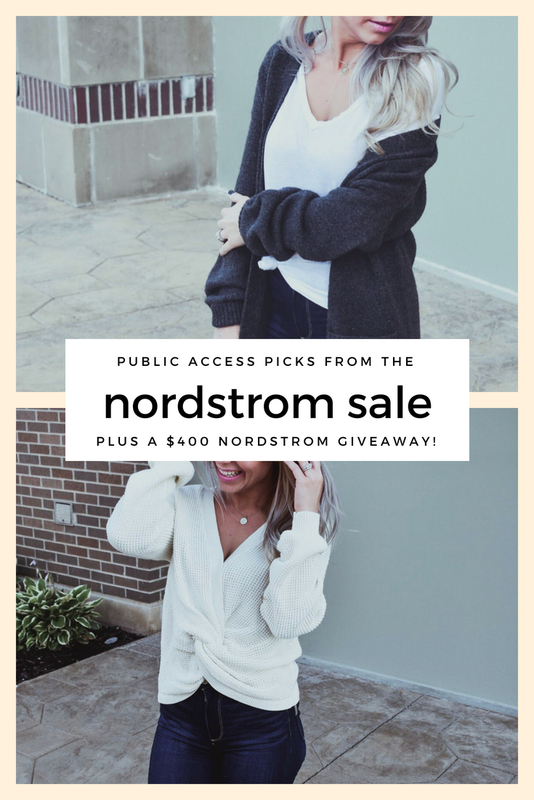 Pin this information on When does the Nordstrom Anniversary Sale end and Last-Minute NSALE Picks for later!